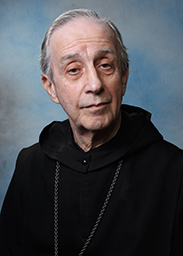 Abbot Melvin J. Valvano, O.S.B. Brother Thomas Aquinas Hall, O.S.B. 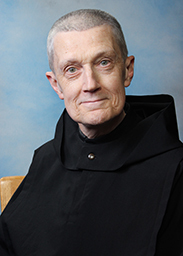 Brother Simon Peter Clayton, O.S.B. Brother Asiel Maria Rodriguez, O.S.B. Brother Mark Martin Dilone, O.S.B. Abbot Melvin has been the spiritual leader of Newark Abbey since 1973. He is a 1956 graduate of St. Benedict's Prep. He also serves as president of our prep school, St. Benedict's Prep. 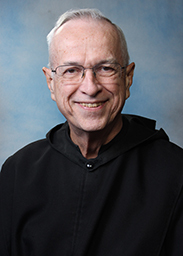 From 1989 to 2001, he served as president of the American-Cassinese Congregation of Benedictine Monasteries, to which our monastery belongs. Fr. 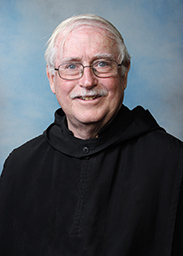 Augustine Curley has been a Benedictine monk of Newark Abbey since 1983. He was a student at St. Benedict's Prep in 1972 when it "suspended operations." After spending a year at St. Peter's Prep in Jersey City, he matriculated at Assumption College, where he double majored in philosophy and politics. He then pursued a Ph.D. in philosophy at Boston College. After seminary studies at Immaculate Conception Seminary of Seton Hall University, he was ordained in 1988. 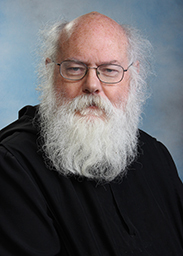 Father Augustine serves the community as Prior, as well as abbey librarian and archivist. He came to the monastery after several years of graduate studies, and finished a Ph.D. in philosophy after entering the monastery. He was in the Class of 1974 of St. Benedict's Prep. Br. Patrick, a native of Newark, came to know the community through Fr. Edwin, who served in his home parish as a weekend assistant. 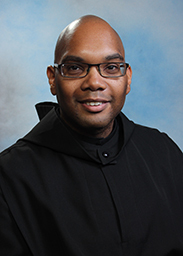 He currently serves as the subprior and vocation director. Fr. Albert has served the community for many years as Director of Formation. He teaches religion in St. Benedict's Prep, and has authored several books of spirituality to his credit. His blog can be found at http://downtownmonks.blogspot.com. Fr. 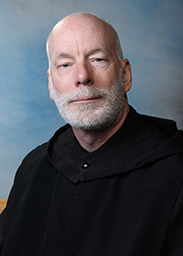 Maynard came to know the Benedictines through Fr. Lucien Donnelly. For many years he taught art in St. Benedict's Prep. Although retired from teaching, he keeps busy by painting and caring for the abbey garden. Fr. 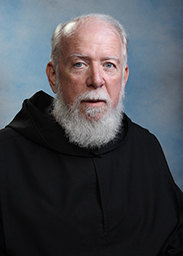 Edwin has served as Headmaster of St. Benedict's Prep since its reopening in 1973. Fr. Philip is rector of the abbey church, where the faith community of St. Mary's meets. He also teaches Latin in St. Benedict's Prep, and drives the school bus whenever his services are needed. Fr. Luke is the Master of Ceremonies for the monastery. He is also the Chancellor for the Syriac Diocese of Our Lady of Deliverance, and teaches Latin in St. Benedict's Prep. A number of years ago, Fr. Francis transferred his vows to Newark Abbey. Fr. Francis currently served the community as procurator and for a number of years he was the infirmarian. With a degree in canon law, he is sometimes called upon to offer an opinion on an issue that the community needs to decide. Fr. 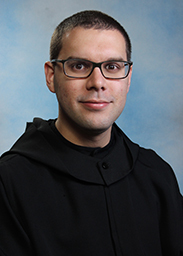 Maximilian currently serves the community as librarian and teacher at St. Benedict's prep, and as the local Safe Environment Coordinator for the Monastery and school. He also has a background in counseling. In the past he served as guest master and kitchen master. Fr. Maximilian completed his studied for the priesthood at Immaculate Conception Seminary, and was ordained a priest on June 22, 2017. An alumnus of St. Benedict's Prep, Br. Thomas Aquinas made his solemn (life) vows on August 15, 2017. He previously served the community as guest master. 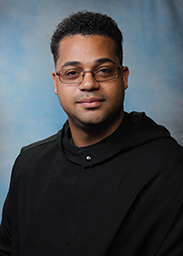 He currently serves the community as a teacher at St. Benedict's and is pursuing in graduate studies in counseling. Br. Simon Peter Clayton, O.S.B. was born and raised in Newark, NJ. He attended St. Benedict's Prep and graduated with a Bachelors of Science in Marketing at St. Vincent College in Latrobe PA. Prior to graduating in 2012, Br. Simon secured a job with PNC Bank as a retail banking Branch Manager in Washington, DC. After spending a few years in the financial industry, Br. Simon Peter decided to answer God's call to return to his hometown and join our monastic community. 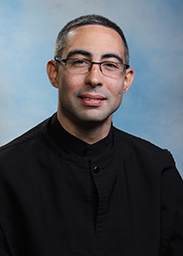 He currently serves as kitchen liaison and attends Immaculate Conception Seminary at Seton Hall University. Br. Asiel Maria was born in Cuba, but grew up in Union City. After spending some time with another religious community, Br. Asiel transferred to our community. 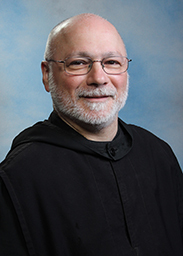 He is currently studying for the priesthood at Immaculate Conception Seminary at Seton Hall University, and serves in the monastery in several roles as the Infirmarian, Tailor, and Director of Monastery Publicity, as well as teaching in St. Benedict's Prep. Br. Francis was born and raised in Brooklyn, New York. He made simple profession in November 2017. 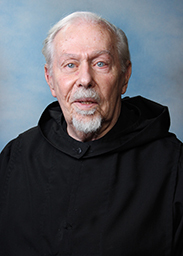 He had previously been a member of the monastic community and returned to Newark Abbey after an absence of several years, having discerned the Lord's call to return home. Br. 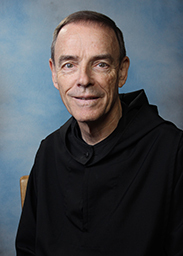 Francis currently serves the community as the Abbey Sacristan, and as Assistant- guest master. Br. Mark Martin was born and raised in New York City. Before coming to our community he was a member of another religious community. 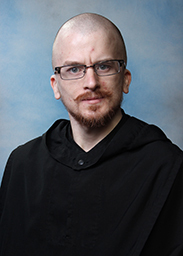 He is currently studying for the priesthood at Immaculate Conception Seminary at Seton Hall University, and serves in several roles at the monastery as Guestmaster, Assistant tailor, Organist, and Webmaster.